Hope everyone's having a glorious weekend. 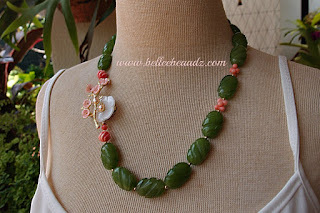 Carved jade ovals measuring approx 22mm, a softening touch is achieved with the addition of a shell pearl connector featuring peachy and pearly white flowers. 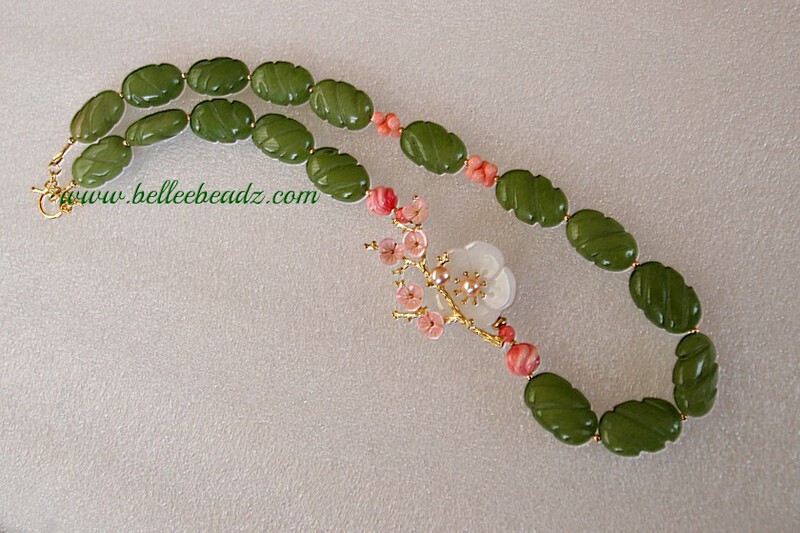 Carved and smooth coral beads have been added to complement the little coral shell flowers. Gold vermeil spacers and toggle. 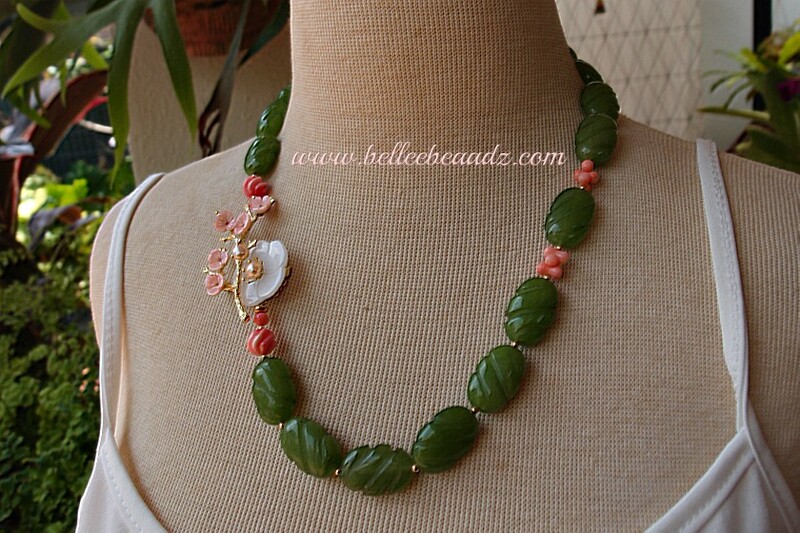 Necklace measures 21"/54cm approx.